Seafarers have to prove on a regular basis that they are able to perform this demanding job. A physician must examine their general state of health as well as their hearing, vision, and ability to distinguish different colours. No medical fitness certificate means: No more jobs on a ship. But it also means: No replacement for the currently serving colleague on board. Then, he has to stay on board and prolong his assignment, if not another colleague is willing and able to immediately and spontaneously end his vacation and fill in. Nothing works without a medical fitness certificate. Doctor Hagelstein carries out these examinations. 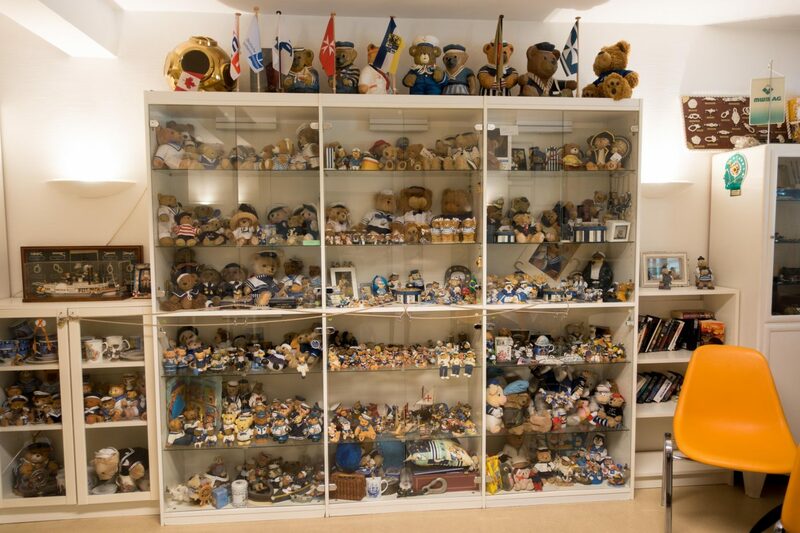 He is head of the seaman’s outpatient clinic in Hamburg Wilhelmsburg. Sailors come to see him, who fell ill or may have fallen into an accident on board their ship and need medical care in the port of Hamburg. They will then be presented to Doctor Hagelstein by the local ship agent. 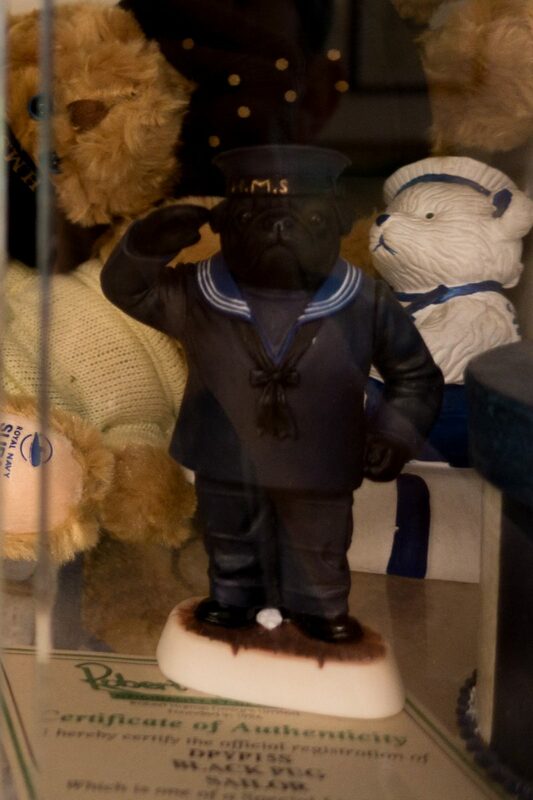 And there are those sailors who need a medical certificate of fitness for sea service. 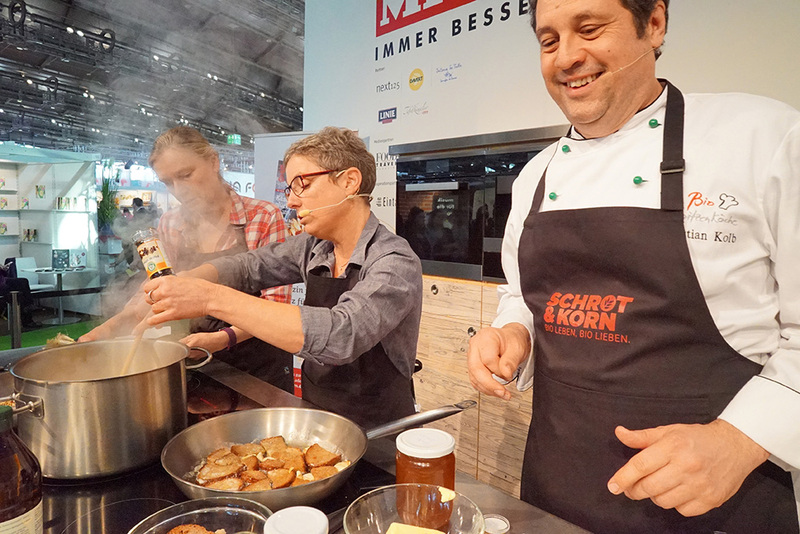 The German regulations demand a health check every two years. 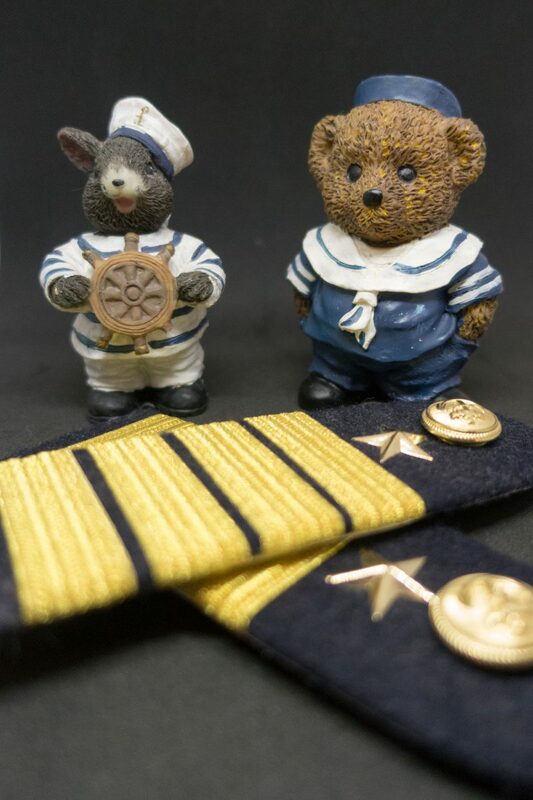 Other flag states require the seafarers to undergo such an examination before every assignment. The certificate may not be older than one week when signing on. That means, one of the last appointments before the departure is again and again the fitness for sea service examination. 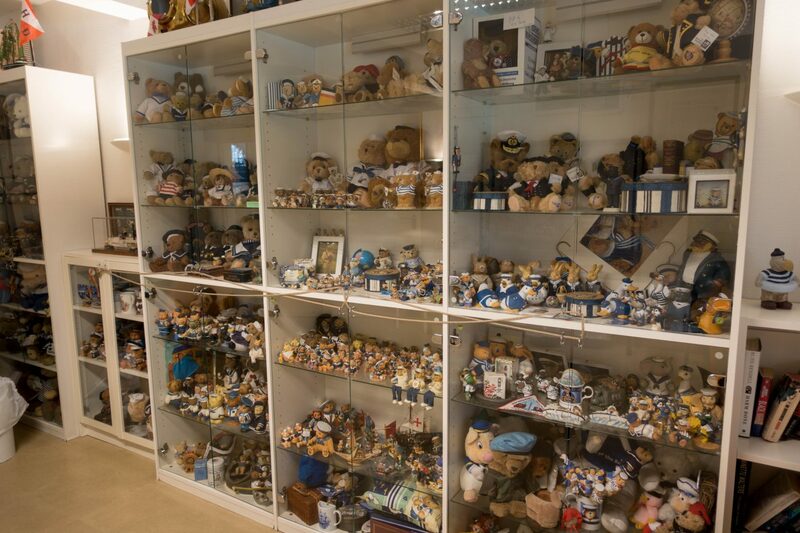 For us, that always means the trip to Hamburg paying a visit to Doctor Hagelstein, the one with the teddies. 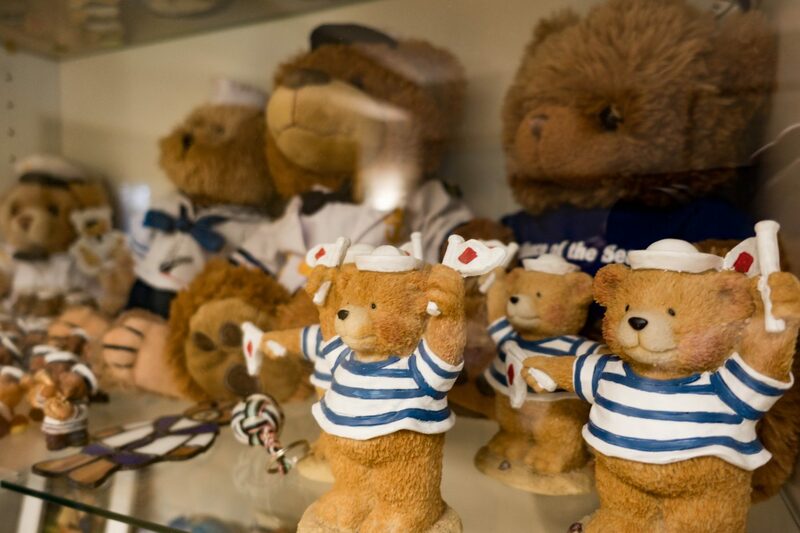 Entering the corridor a maybe 50 cm big teddy with a big tropical hat welcomes the seamen. The waiting room dominates a wall-mounted showcase. 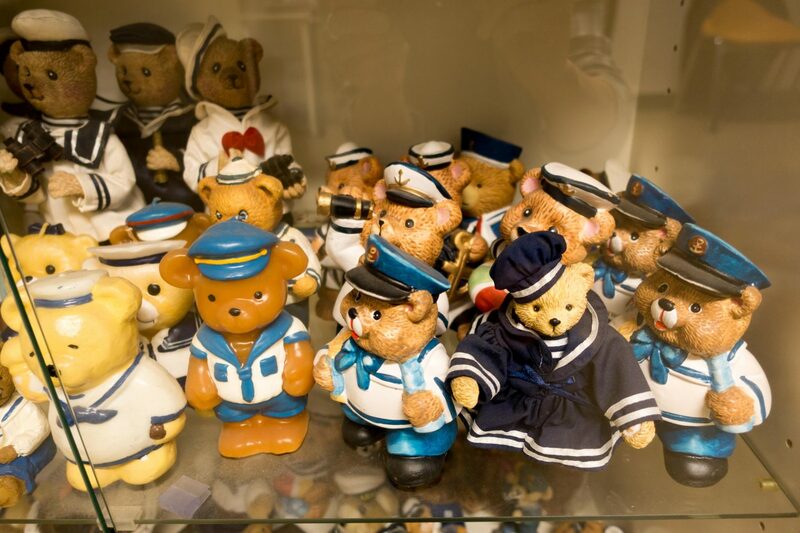 Hundreds of teddy bears cavort in a variety of sailor outfits on the shelves. 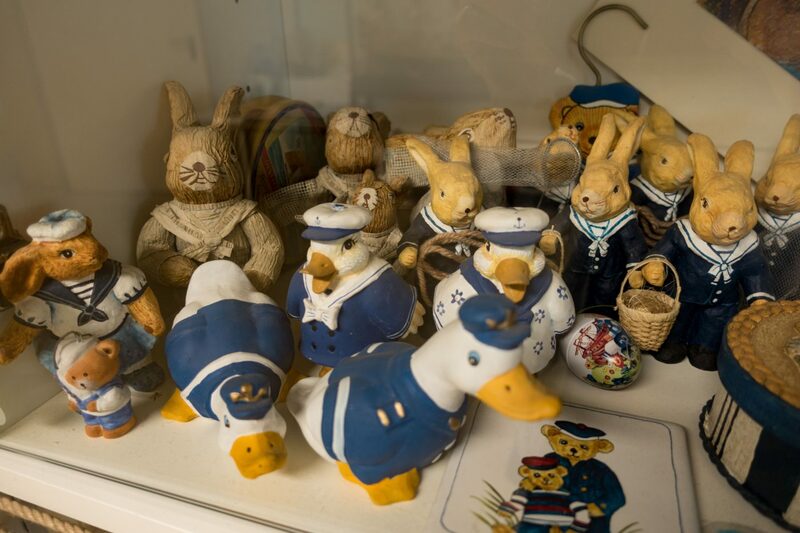 And not just teddy bears; ducks, rabbits, pelicans, seals and even a pig present themselves in a maritime look. 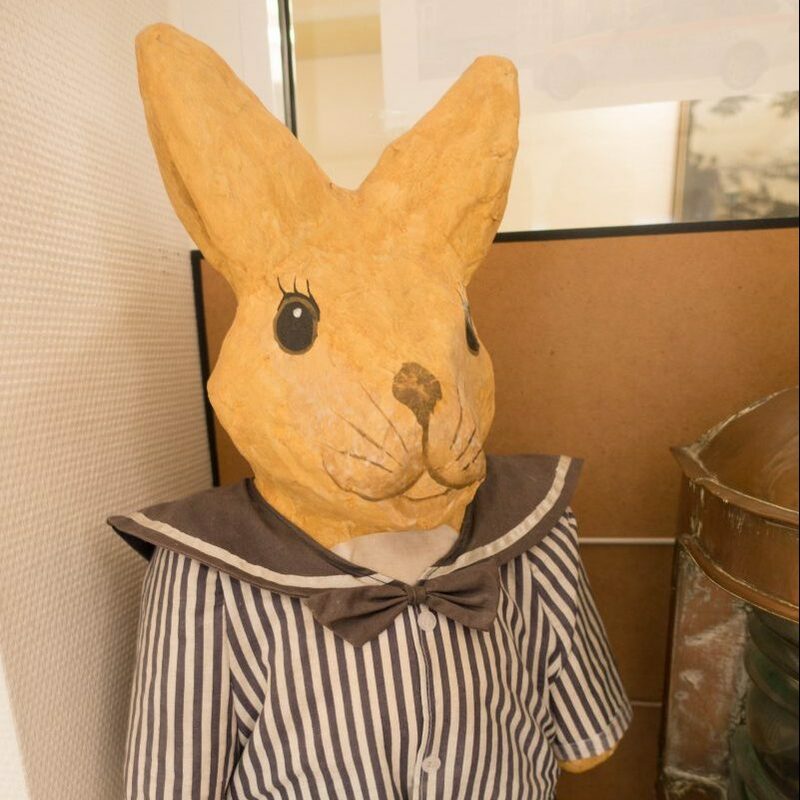 The Sailor Pig is supposed to be Doctor Hagelstein’s favourite “Teddy”. 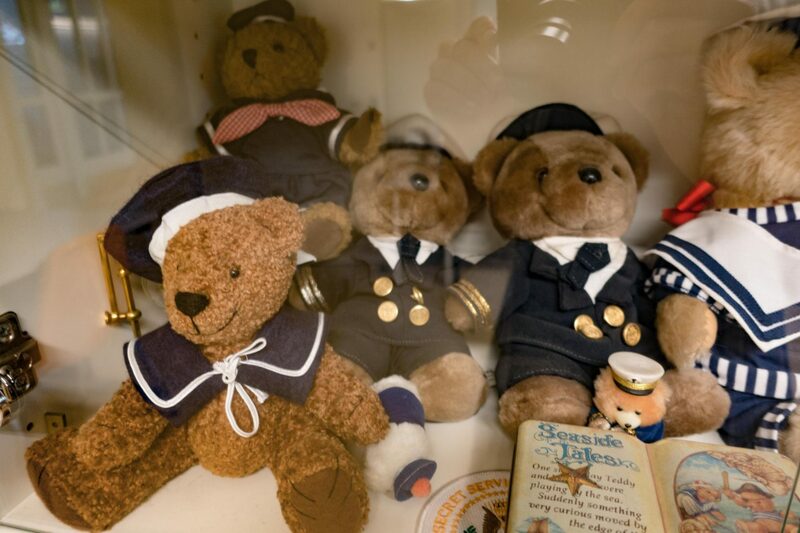 Doctor Hagelstein’s collection of teddy bears is also included in the thriller “The Girl in the Fleet” by Christiane Fux. 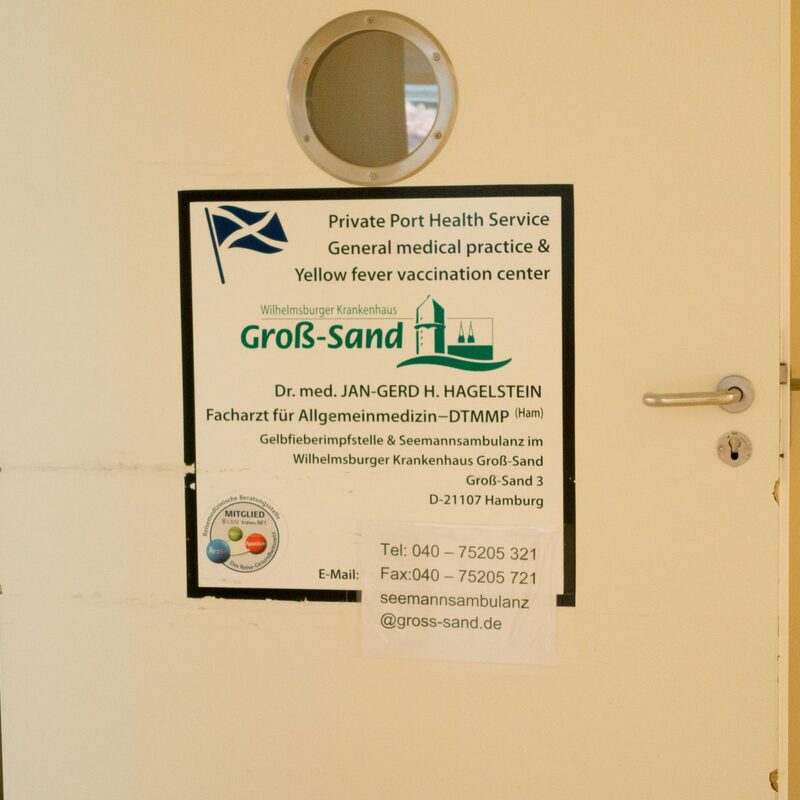 An exciting thriller located in Wilhelmsburg and to a large extent in the hospital Groß-Sand. The doctor with the teddies is also to be found, but in the book his name is “Django”… Exciting to read and an “insider tip” from the doctor! 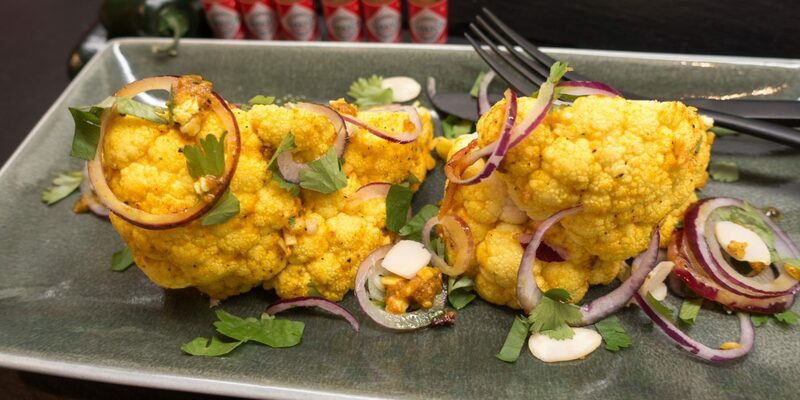 In this recipe, the cauliflower bathes in a spicy marinade with Tabasco, garlic and turmeric. Roasted in the oven it’s an absolutely simple low-carb food. To begin with, I honestly thought what the Venetian’s hype about those “sandwiches” would be. 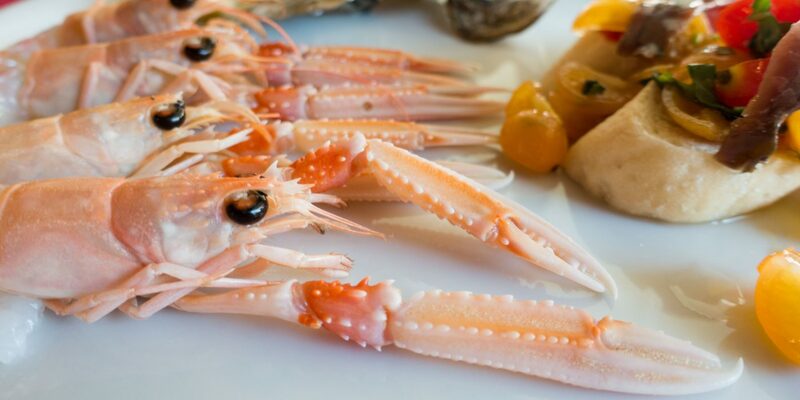 They name it Crostini, that is Canapées – more or less. Today I know: You have to get involved in it and enjoy Cicchetti like the tapas in Spain with a walk through several wine bars in Venice. Then you get behind it very quickly, what makes the special charm of these hearty little things.